We are pleased to share with you that our attorney, MASAKI MIKAMI was awarded the Law Award 2018 as “Trademarks – Lawyer of the Year – Japan” by the Finance Monthly. 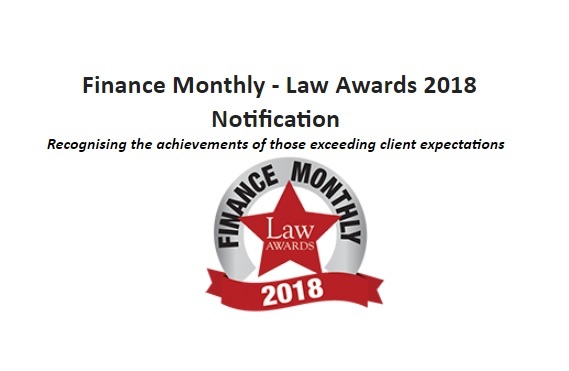 The Finance Monthly Law Awards 2018 recognise the achievements of law firms and lawyers, and those connected with, or working in, the legal sector. The primary focus is to recognise firms and individuals that have a proven track record in delivering results for their clients over the past twelve months. The awards are divided into individual and firm categories. Each category has been selected to represent the diversity of skills and knowledge that the profession has to offer clients across the globe. The Finance Monthly Law Awards are open to any practice, individual or related sector supplier. Votes are invited from over 200,000+ subscribers to Finance Monthly magazine who are asked to consider their personal or institutional experiences when engaging with partners and firms, and to nominate who they feel to be exceptional in their category – using the online voting form. This year we received 18,219 votes, the highest ever number of recorded votes. Only categories with a sufficient number of votes are considered for the shortlisting stage. The shortlist stage involves examining and verifying all documentation and supporting text provided by the voters for their nominated individual or firm, as well as any supporting materials submitted by the nominee. The criteria used and applied to the submitted materials and to the internal research, is; Expertise, Responsiveness, Understanding of a business and its needs, Cost-effectiveness, Civility, Customer service, Reliability, Experience, Knowledge, Integrity, Firm capabilities, Involvement in significant legal cases & legal activity, Size (value) of involvement within transactions, Deals & cases.